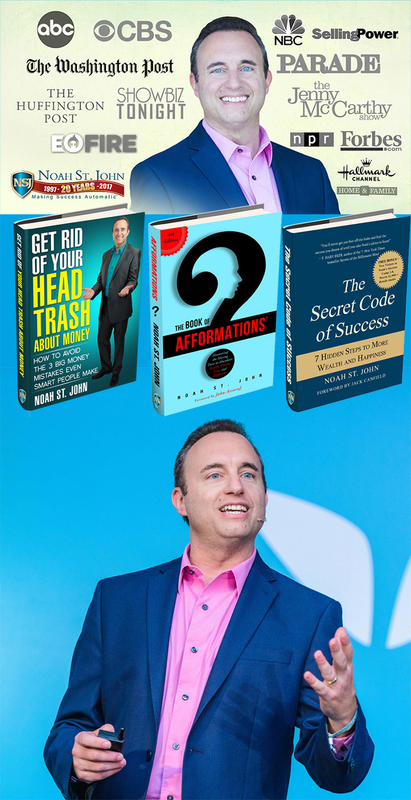 NOAH ST. JOHN is famous for inventing AFFORMATIONS® – a new technology of the mind – and helping people get rid of their head trash so they can make more money. The results speak for themselves: Since 2009, Noah’s coaching clients have added more than half a billion dollars in sales. A highly in-demand keynote speaker, Noah’s engaging and down-to-earth speaking style always gets high marks from audiences. 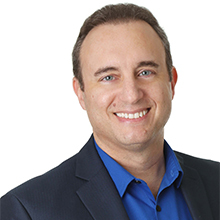 One of the world’s most sought-after experts on personal growth and business development, Noah also appears frequently in the news worldwide, including ABC, NBC, CBS, Fox, The Hallmark Channel, NPR, PARADE, Woman’s Day, Los Angeles Business Journal, Washington Post, Chicago Sun-Times, Forbes.com, Selling Power and The Huffington Post.